What is Asian Ranking for Twitter?! 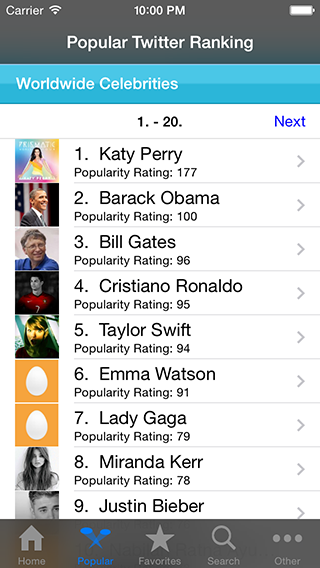 “Asian Ranking for Twitter” is a free smartphone and feature phone application that allows you to search among over 8,000 different celebrities and entertainers. Featuring a “Favorites” function and searchable categories, it’s easy to find and follow your favorite entertainers and celebrities via their public Twitter account! Annoying login or registration completely unnecessary. Features a smooth, easy-to-use interface! Compile your own list of all of your “Favorite” talents to check up on them quickly and easily! 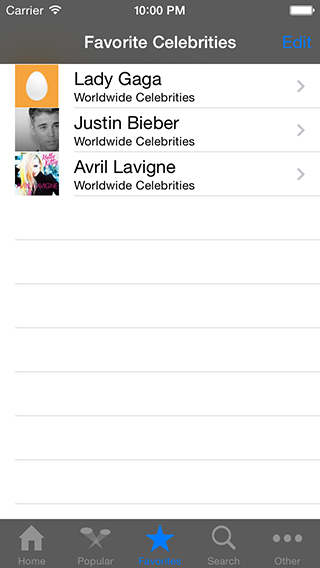 New Arrivals, Popular Ranking The application introduces you to new celebrities you may be interested in via a New Arrivals and Popular Ranking list! 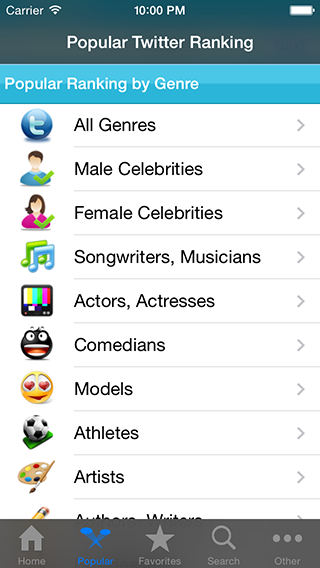 Categorization Search by several categories including Male Celebrities, Women Celebrities, Singers and Musicians, Actors, Actresses, Comedians, Models, Athletes, Cartoonists, Voice Actors, Writers, Novelists, Politicians, Businessmen, Foreign Celebrities (Foreign to Japan), South Korean, Announcers, Professionals, Journalist, Artists, Scholars, Radio DJs, Critics, and more! 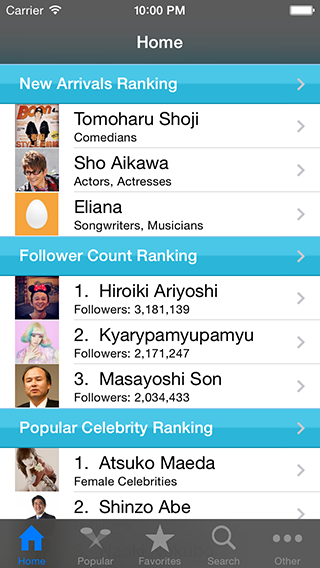 Follower Count Ranking Ranking of all of the app’s celebrities and entertainers by the number of followers they have. Have you ended up following so many celebrities on Twitter that the Tweets of those closest to you have gotten buried under a long wall of Tweets? 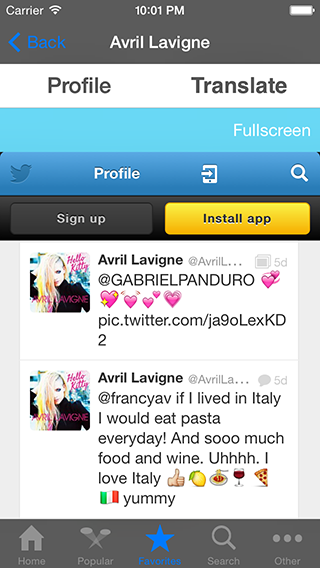 To you, we can recommend the “Favorites” function! This function is not connected to the function of “Following” on Twitter in any way, so by registering your favorite celebrities and entertainers on Asian Ranking for Twitter, you can follow your favorite celebrities and your personal Twitter feed will not become congested with Tweets and replies of celebrities you wish to follow! * Popular Ranking is based on the popularity index calculated on Asian Ranking for Twitter (PC website version). Download “Asian Ranking for Twitter” now!